Ri Su Yong (also known as Ri Chol) is a Workers’ Party of Korea [WPK] Vice Chairman and Director of the WPK International Affairs Department. Ri is also Chairman of the Supreme People’s Assembly [SPA] Diplomatic Committee, a member of the WPK Political Bureau, a member of the WPK Central Committee and deputy to the SPA. From the 1980s until 2010, Ri was Kim Jong Il’s personal representative and political surrogate in Europe, as DPRK Ambassador to the UN Mission Geneva and a senior WPK official. Ri began his career at the Ministry of Foreign Affairs [MOFA]. In 1972 he was a MOFA bureau chief. In 1974 he was appointed Director-General of the Bureau of Protocol and International Organizations. After the Sixth Party Congress in October 1980, he became a deputy director of Kim Jong Il’s Personal Secretariat and deputy director of the WPK Organization Guidance Department. Also in 1980, Ri was assigned to the DPRK Embassy in Geneva, Switzerland, in the position of diplomatic councilor. He was recruited for this sensitive position by Jang Song Thaek, KJI’s brother-in-law. In Europe, Ri attended to a number of personal tasks for and on behalf of members of the central leadership, including the administration of the personal finances of Kim Jong Il (and the late Kim Il-so’ng). Ri also was in loco parentis to KJI’s eldest son, Kim Jong Nam, who studied in Switzerland in the 1980s. In September 1987, Ri was appointed permanent representative to the UN Mission Geneva and in January 1988 was appointed DPRK Ambassador to Switzerland. Ri Su Yong relocated from Geneva to Berne. In the 1990’s he served in loco parentis for KJI’s three children with 3rd wife Ko Yong Hui, who studied at Swiss schools in the Berne area. Kim Jong Chol, Kim Jong Un and Kim Yo Jong attended Swiss schools,where they were introduced as the offspring of diplomatic or embassy household staff. The children were each shadowed by another DPRK national who acted as personal security escorts. 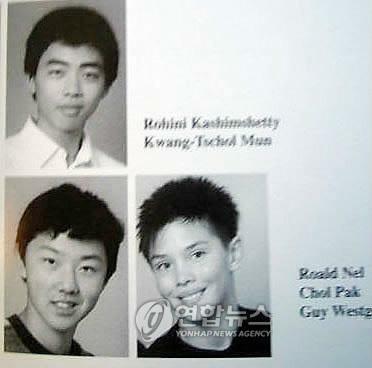 Jong Chol attended school and was pictured in a school yearbook, with one of Ri’s sons. According to some accounts, Jong Un spent some of his time and took meals with Ri. Daughter Kim Yo Jong’s relationship to Ri is not clear, with accounts that claim her school registration and personal needs were attended to by women workers (in fact members of the Wangjaesan Light Orchestra) attached to the embassy. 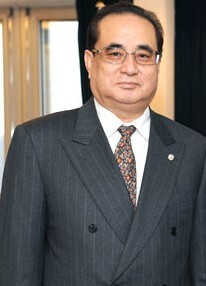 Ri Su Yong was recalled and returned to Pyongyang in March 2010, replaced by So Se Phyong [So Se-p’yo’ng] previously DPRK Ambassador to Iran. 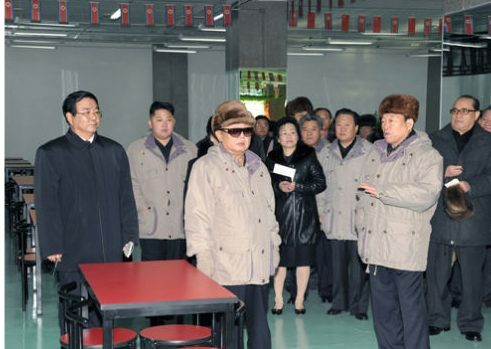 Upon his return to the DPRK, he worked on transition issues in the Personal Secretariat. In late 2010 he emerged as one of the country’s key players in attracting foreign investment, particularly to Naso’n (Najin-So’nbong) in the northeastern part of the country and was working as Chairman of Joint Venture Investment Commission. In 2014, Ri was appointed DPRK Foreign Minister. During his tenure he engineered an organizational restructuring and implemented a number of personnel changes within the Ministry of Foreign Affairs and among the DPRK’s diplomatic corps. He also made numerous trips outside the DPRK and met with dozens of different foreign leadership. Ri’s purpose in these activities was to transition the Ministry into a professional, functional organization for external relations and usher in a new generation of DPRK diplomats. Prior to his tenure, for almost a decade, the Foreign Minister was largely a figurehead and late DPRK leader Kim Jong Il controlled the Ministry through it 1st Vice Minister, the late Kang Sok Ju [Kang Sok-chu]. DPRK Foreign Minister Ri Chol (L) meets with Syrian President Bashar al-Assad (R ) in Damascus on 18 June 2014 (Photo: Syria TV). Ri Su Yong migrated from Foreign Minister to the WPK Central Committee apparatus in 2016. During the 7th Congress of the Workers’ Party of Korea, Ri was appointed WPK International Affairs Department Director, as well as a WPK Vice Chairman and full member of the WPK Political Bureau. During the 5th session of the 13th Supreme People’s Assembly, Ri was appointed chairman of the resurrected SPA Diplomatic Commission, a position which expanded the protocol through which he can interact with foreign officials. Ri Su Yong was born in 1940. 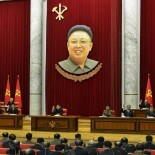 He attended Mangyo’ngdae Revolutionary School and Namsan Senior Middle School, where he was a friend of Kim Jong Il’s. He also studied at Kim Il Sung University and according to some sources completed coursework at Moscow State University in the 1960s. Ri was a mentor and father figure to Kim Jong Un. Despite being involved in defending the DPRK over some rather unsavory matters at the UN Mission Geneva, he was highly respected as a diplomat. He established numerous nongovernmental and corporate contacts in Switzerland which have contributed to the country’s development, its education and cultural exchange and raising domestic living standards for DPRK citizens. Ri Su Yong is approachable and relatively friendly in his interactions. Due to his personal background and career history, he demonstrates a certain degree of open-mindedness and flexibility. Ri is also very open (i.e. he does not have ulterior motives) and fairly blunt and expects the same from those with whom he interacts.